Every autumn, the cows descend from the alpine pastures to the valley, where they will spend the snowy winter snug indoors – as they have for centuries. Recent years have seen an additional migration in the opposite direction. The piste-grooming machines – those giant, caterpillar-tracked workhorses of the ski slopes – emerge from the workshops in the valley where they have spent the summer. They are then driven back up the mountain, to spend the winter smoothing carpets of snow where in summer cows cropped a fragrant carpet of grass. This is just one of many essential jobs that are done in Alpine resorts off-season. Out of sight of the skiers and snowboarders, a summer crew of engineers, technicians and other staff are working away to make sure that by the time you arrive for your Christmas ski holiday, everything is running as smoothly as a Swiss watch. 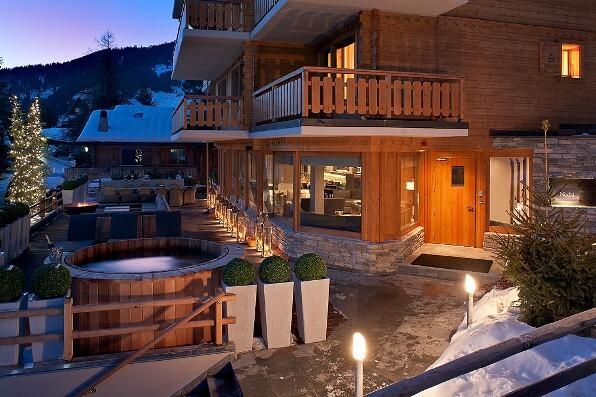 The resort of Verbier in the French-speaking part of Switzerland is typical in this respect. It has 23 piste-bashers in all, each of which heads down to the valley every spring to be serviced before returning up the mountain in the autumn. The task is by no means simple: before the journey, mechanics have to remove the caterpillar tracks, the snowplough and other bulky elements before loading each machine onto the back of a transporter. Up on the mountain in summer, many of the wild animals have come out of hibernation to feed and breed. The resort, meanwhile, slips into a state of aestivation. Most winter staff have left, usually for other seasonal jobs; the majority of hotel beds lie empty. 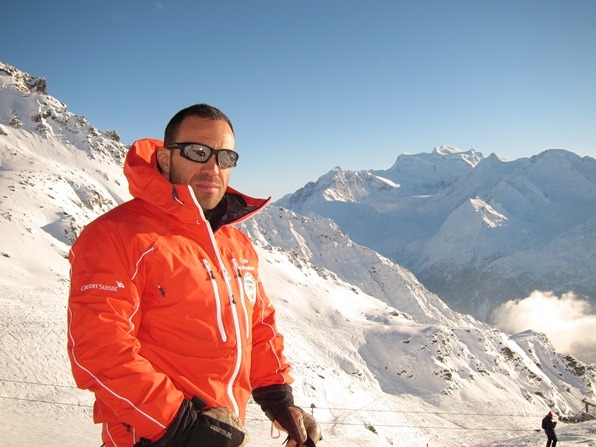 A core crew remains behind, however, to do essential maintenance work – much of it orchestrated by Gilbert Simon, director of technical operations at Téléverbier, the company that runs the cable cars and ski lifts. “If you think about the number of parts there are in 40 ski lifts, it’s crazy,” says Simon. 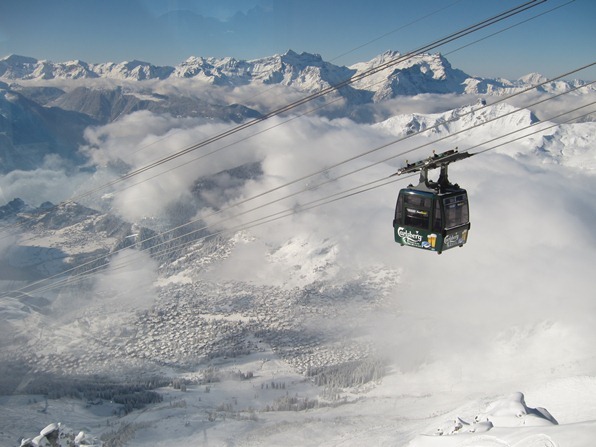 Between them they have seven cable car cabins, 524 gondolas of various sizes, 273 T-bars and buttons on the drag lifts, and 1,265 multi-seater chairs on the various chairlifts – all of which need to be serviced and checked, by a team of some 30 specialised technicians. One of the main tasks is to carry out tests on the braking mechanisms of the various lifts. Engineers simulate full loads of passengers by loading the cabins with concrete blocks – which you can usually spot during the winter, stacked beside the cable car stations. To test Verbier’s biggest lift, the Jumbo – which can accommodate up to 150 people – the technicians load each cabin with 12 tonnes of concrete. Another major task for Simon’s team is ensuring that all the safety equipment is in place. There is the bright orange netting, hung up to stop out-of-control skiers and snowboards from hurtling off dangerous drops. There is the orange padding – “mattresses”, they call them here – that they tie around many of the lifts’ 368 pylons, and other man-made installations that you would not want to hit at speed. And then there are the wooden poles that mark the side of the pistes. 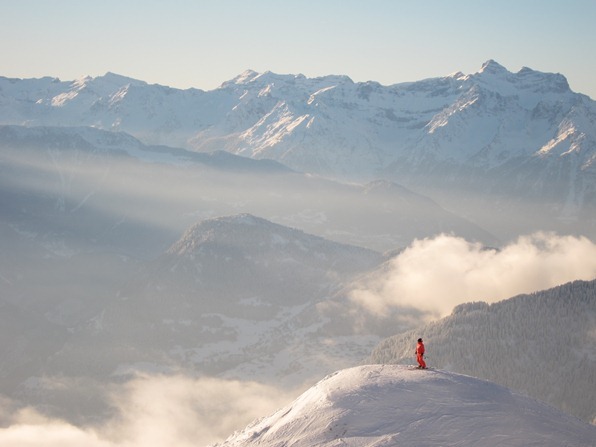 If you consider that Verbier alone has more than 60 miles of pistes, and the whole Four Valleys ski area more than 250 miles, and that there are markers every few metres, the total number clearly runs into tens of thousands. Putting up this safety equipment alone takes a team of three people two months. The snow cannons and other snowmaking equipment, along with the water and air pipes, all need to be checked. So must the facilities at the various restaurants up on the mountain – whose larders and cellars also need stocking before the first hungry skiers appear on the doorstep, removing their steamed-up goggles and kicking the snow off their boots. The people who do all these tasks are only a small share of the team of 250 that Simon has working under him during the winter. Many of these are lift operators, who return only in December, along with the bar staff, the chambermaids, the waiters and waitresses, the armies of chalet boys and girls and the ski instructors – for whom migrating to work for the season is a matter of lifestyle. 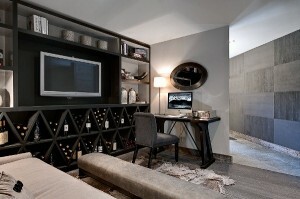 By the time you arrive in resort, they will have settled in to their jobs. They will have polished thousands of pieces of cutlery, vacuumed kilometres of corridors, ironed acres of crisp white sheets. The piste basher drivers will have started unrolling their pristine white carpets, from the mountain tops down, as the snow blanket thickens. And cooks up in the mountain restaurants will have stocked up on potatoes, pasta, and spices, so that your spaghettis à la bolognaise, frites and vin chaud will be ready almost before you’ve ordered them. So, on your first morning in resort, when you wake up and look out of the window and wonder whether the snow gods have a vintage holiday lined up for you – remember they aren’t the only ones you need for the best week of your year. A look at the the serious – and competitive – business of launching a luxury ski chalet in Verbier. I thought I had tried just about every kind of chocolate on offer, but this puzzled me: a curious powder beside my dessert of pear sorbet and chestnut mousse that evoked memories of childhood. An ingenious flourish to a delicious dessert – which also incorporated diced poached pear decorated with vanilla and pear puree, a drizzle of caramel yogurt, and pieces of caramelized chestnut. I went to bed a happy man. 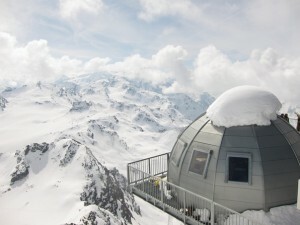 Daniel Cox seems likely to cause a stir in the Swiss resort of Verbier this winter. 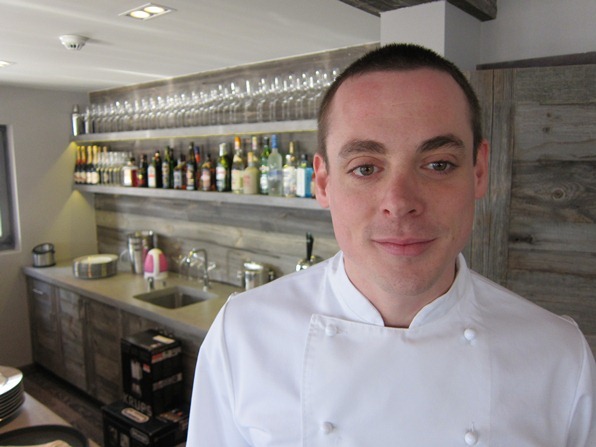 He won the prestigious Roux Scholarship in 2008, and has subsequently been chef at some of the world’s top restaurants, including The Fat Duck in Bray, El Racó de Can Fabes in Barcelona, and Per Se in new York, each of which boast three Michelin stars. Before coming to the Alps, he set up and ran Michel Roux Jnr’s latest fine-dining restaurant, Roux at Parliament Square in London, where he was in charge of a team of 17. 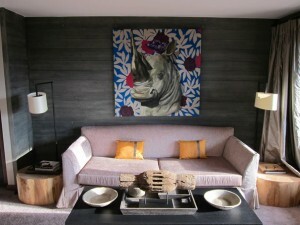 Nabbing Cox seems quite a coup for the chalet’s owner, David Pearson. In a resort that already has its share of luxury properties, his emphasis on bringing in skilled young talent could well pay dividends. Another asset is Alexandra Main, a masseuse and sports physio, who graduated this summer from Loughborough University. She became interested in massage after suffering injuries playing netball, and in her third year took a course in massage alongside her degree in sports science with management. During her studies, she worked on patients ranging from members of the visiting Springboks rugby squad to Team GB Olympic athletes. All in all, No. 14 Verbier has a staff of 14, including three drivers offering in-resort transfers around the clock, all headed by a chalk-and-cheese double act of young managers: Sarah Howe, a linguist and former tour guide from Yorkshire, and Ivan Gonzalez from Tenerife, who worked at a beach club in Ibiza until Pearson, impressed with his skills while on a family holiday, whisked him over to the Alps. 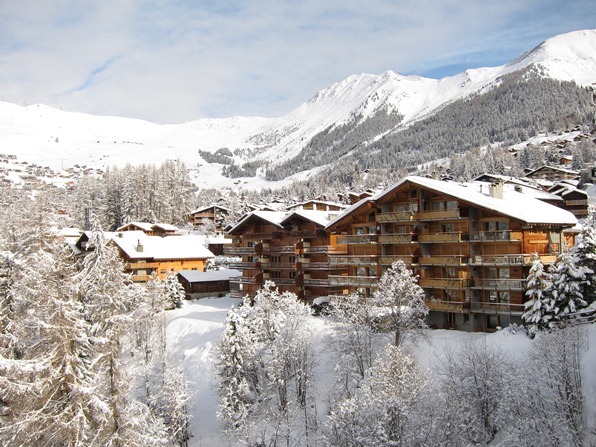 Pearson himself is an old Verbier hand, having founded Ski Verbier in 1992 and built it up to a portfolio of 17 chalets and one hotel by the time he sold up the company 2006. To sell holidays to No. 14 and other smaller chalets, he has set up a new company called Verbier Exclusive, which he owns and runs with a former colleague, Tom Avery, who in recent years has made a name for himself as an explorer, reaching both the North and South Poles on foot – presumably in rather less pampered style than that now on offer to his clients. The chalet sleeps 26 guests in three suites and ten en-suite rooms, with custom-made furniture by Ben Whistler in London, Vi-Spring mattresses, Frette linen, goose-down duvets, organic Bamford toiletries, and artworks by recent art-school graduates. There’s a lush home cinema, and a 10-metre indoor pool, with stone Jacuzzi, steam room, two treatment rooms, plus a cedar hot tub for ten on the terrace. 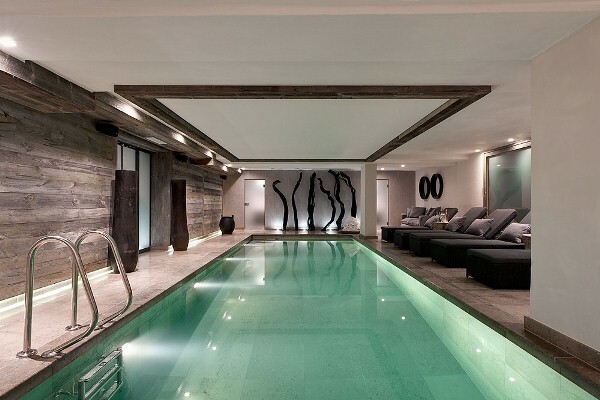 The team behind the conversion of the former Hotel Les Rois Mages – the Verbier architect Patrice Coupy, and Fiona Barratt Interiors of London – is the same as that behind Richard Branson’s uber-luxury The Lodge, also in Verbier. Pearson and Avery clearly have ambition, claiming that theirs is Verbier’s “most spectacular luxury chalet”, offering per-person rates “typically 40-50 per cent cheaper that the Lodge’s.” You have to give them full marks for chutzpah, bearding the master of PR in his alpine den. The ski gloves are off – and as the first guests arrive at No. 14 Verbier, the fight for the title of chalet champion is just beginning. Further information: Verbier Exclusive (01608 674011; www.verbierexclusive.com); the Switzerland Travel Centre (00800 100 200 30, www.MySwitzerland.com) and the Verbier tourist office (www.verbier.ch). The Briton who went from novice speed-skier to world number eight in a year – on second-hand skis bought on eBay. Have you ever dreamed of becoming one of the world’s top skiers? How long do you think you would need? 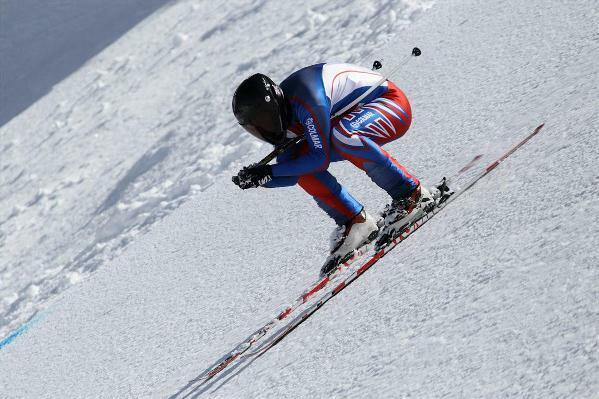 Suffolk-born Benja Hedley, 33, tried the discipline of speed skiing for the first time in April 2009. In January this year, he entered his first competitive race. By the end of the season, he was ranked eighth in the world – a feat he performed on a pair of second-hand skis that he bought on eBay. Admittedly, not many people would actually want to try speed skiing. It involves standing at the top of an extremely steep slope – up to 56 degrees – and pointing your skis straight down. “You accelerate from 0 to 100mph in 4 to 5 seconds,” says Hedley. “That’s as fast as a Formula 1 car. Only Jenson Button has brakes. And a steering wheel.” The only place to brake safely is at the end of the course, where it flattens out. Verbier has one of just three pistes in the world on which speed skiers may achieve velocities of more than 200 kph (124 mph). And it was here, on the Mont-Fort glacier, during last season’s World Cup finals, that Hedley clocked up enough points to clinch a ranking of 8th in the world. Now he has his sights set on the World Championship – to be held on the same run on April 18-21, 2011. Racers compete in one of two categories. Hedley’s is called SDH, for which competitors race on standard downhill skis; the British record is currently 202.59 kph, held by Hedley’s team-mate Tom Horn. The other category is S1, for which participants use longer, more stable skis, rubber suits and fairings. With this faster equipment, just five people in the world have ever skied at 250 kph (155 mph) – and one of them is a local, Philippe May, director of the Swiss Ski School in Verbier, who will be attempting to set a new world record. After school he spent a season working for Mark Warner in a kitchen in Val d’Isère, where he taught himself to ski and snowboard. Later, as an engineering student at Cambridge, he competed as a snowboarder, especially in big-air competitions. Then he suffered a suspected broken neck after an ill-advised demo jump without a helmet, and had to stop competing. He entered his first competitive race at the beginning of last season, two weeks after having his foot taken out of a cast, the result of a surfing accident. 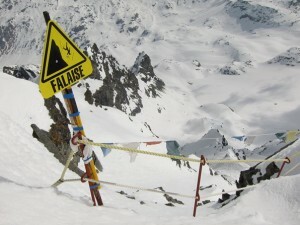 The course at Vars in France is one of the world’s fastest. “My heart felt as though it was trying to bounce out of my chest. But as soon as I started the run, I suddenly felt very clear and focused. Still, the run was not without its challenges. “By the time you get over 100mph, the skis are getting very twitchy, and it’s very hard to keep them in a straight line,” says Hedley. A gust of wind hit him, he caught an edge, and only just managed to keep his balance. By the end of the run he felt “like Bambi on ice,” he says. Nevertheless, he clocked up a speed of 114 mph, which remains his personal best. Some people might think that choosing speed skiing as a hobby smacks of eccentricity. The fact that Hedley drives to races accompanied by a stuffed badger called Boris would seem to confirm this. However, the sport clearly requires serious commitment: top athletes train all year, and Hedley has spent the summer “doing lots of running, lots of weights at the gym, cycling, triathlons, and surfing – good for balance.” Perhaps the greatest sign of Team GB’s commitment is the fact that they had no sponsorship at all – they had to pay for all their own equipment, travel costs and accommodation. And yet, the team has been strikingly successful. 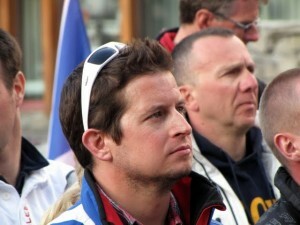 Hedley’s team-mate, 43-year-old Marc Poncin – who was World Champion in 2008, and runner-up in 2009 – came first in last season’s Vars race, and seventh overall in the World Cup rankings. 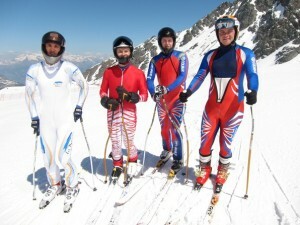 The team as a whole managed nine Top Ten results over the season – making them, according to Hedley, the most successful of all the British ski teams. In Britain, however, you hardly ever hear about the sport – certainly not since the last time it was an Olympic discipline, at the 1992 games in Albertville, in which Poncin competed. This season, the team has high hopes of a bigger profile. They have won a couple of sponsors (Sinner sunglasses and Forcefield body armour – modest, but a start) and Hedley says that the former British downhill champion and Ski Sunday presenter Graham Bell has promised him some of his old skis to race on. Fingers crossed, though, they’ll be winning a few races this winter, perhaps even breaking the odd record. In which case, you’ll be hearing a lot more about them.